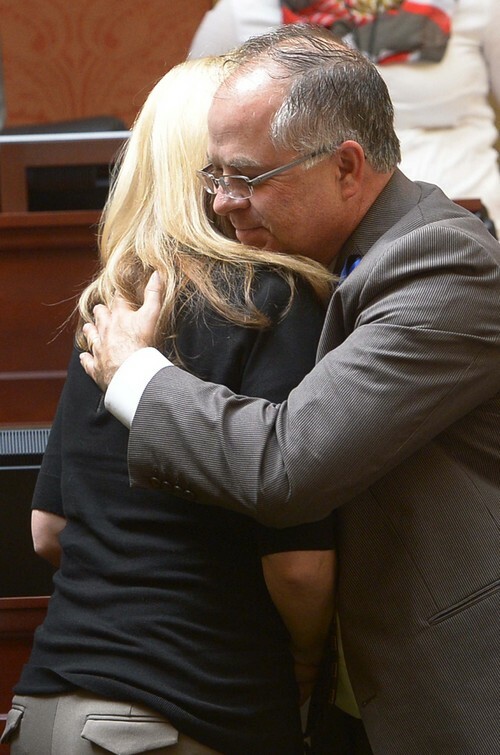 Leah Hogsten | The Salt Lake Tribune Nannette Wride receives a hug from bill co-sponsor Rep. David Lifferth in the House chambers after the legislators voted to rename SR-73 to the Cory B. Wride Memorial Highway in Utah County, Wednesday, March, 12, 2014 in honor of Nannette husband who was killed during a shootout along the highway in January. 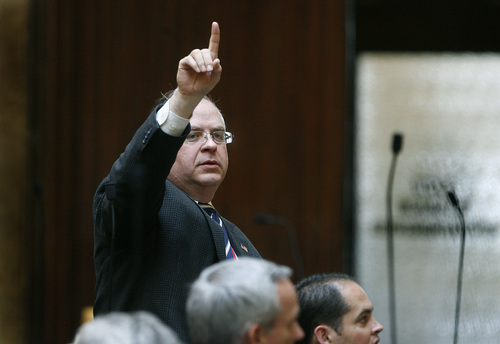 Scott Sommerdorf | Tribune file photo Rep. David Lifferth, R-Eagle Mountain, votes in the Utah House of Representatives, Thursday, February 28, 2013. Scott Sommerdorf | Tribune file photo Rep. David Lifferth, R-Eagle Mountain, in the Utah House of Representatives, Thursday, February 28, 2013. Rep. David Lifferth, whose tweets calling the NAACP a racist organization in the aftermath of the ouster of Los Angeles Clippers owner Donald Sterling made national headlines, apologized Thursday and deleted the messages. "My joke was in poor taste and insensitive to others," Lifferth wrote on a blog post Thursday. "I have learned a lot in the past few days. The NCAAP [sic] is not a racist organization. My logic was flawed." Lifferth said he grew up at "ground zero of the civil rights era" and was taught to love everyone, adding that he hopes that "people can find it in their hearts to forgive a naive person that truly does love and care for people of all races and nationalities." 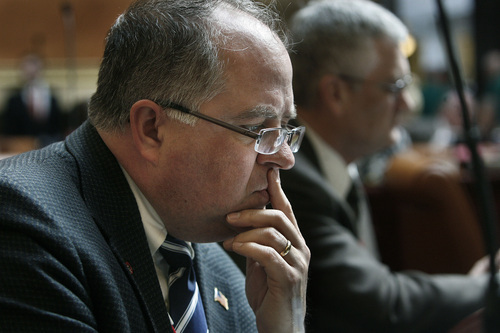 The Utah lawmaker said he deleted the tweets and hopes they will not hurt anyone else&apos;s feelings. On Tuesday, the Eagle Mountain Republican tweeted  in reference to Sterling&apos;s ouster as owner of the Clippers after making racially intolerant comments  that "we should have known Don Sterling was a racist when he gave money to the National Association for the Advancement of Colored People." Lifferth followed that up, saying: "Yes, any group that tries to advance specific people based of their race is by definition racist." Jeanetta Williams, president of the Salt Lake Chapter of the NAACP, had said Lifferth&apos;s comment "shows his ignorance of the history of the NAACP." Williams said late Thursday that she was happy Lifferth had apologized. "I&apos;m sorry that it happened to begin with, but we will accept his apology," she said. "I think he learned how insensitive his statements were … and I think he also found out that there was a lot of support for the NAACP, people he probably didn&apos;t even think were supporters of the NAACP or knew of our work." Lifferth did not return a phone message Thursday night seeking comment. Earlier Thursday, Lifferth had posted selected emails supporting and condemning his comments, including one from a state legislator whose name he withheld. He since deleted those messages. Last year, Lifferth posted an email exchange with Williams in which he called himself "a hero of the civil rights era," explaining that his first-grade class in Nashville, Tenn., was the first integrated class in the county in 1971 and he was one of the few white students who attended classes on that first day.